You don't have to wear goulashes to keep water out of your way. Waterproof your walk with a pair of Timberland PRO 47592 Endurance Steel Toe Boots and enjoy comfort and strong support. Crafted with waterproof full-grain leather upper with waterproof membrane, th ... (see full details) (see specifications) #TMBTB047592001. You don't have to wear goulashes to keep water out of your way. Waterproof your walk with a pair of Timberland PRO 47592 Endurance Steel Toe Boots and enjoy comfort and strong support. Crafted with waterproof full-grain leather upper with waterproof membrane, these black boots keep your feet dry and your strut sturdy. The anti-fatigue midsole absorbs the impact of your work floor so that your feet don't have to feel it. The flexible Steel-Flex puncture-resistant plate keeps your feet protected against hazardous impacts or rolling objects. To keep you steady no matter where you are on the work floor, there are non-marking oil- and slip-resistant rubber outsoles. In addition these rubber outsoles are equipped to resist heat and provide electrical hazard protection for even extra protection at work. The fiberglass shank in this safety toe footwear protect your arches against hard surface. Your feet stay extra comfy thanks to the Timberland PRO Powerfit comfort system. These Timberland Endurance boots are backed by a 30-Day Comfort Guarentee. The contoured footbed cradles your feet while the mesh lining with Agion keeps your feet dry and wards away bacteria and odors. Finger grip pull-on tabs make it easy to get in and out of your EH boots. These puncture-resistant boots meet CSA Grade 1 requirement and the Canadian Safety Association safety standards. Whether it's the weather, a messy work floor, or a few puddles a little water won't get in your way when you're geared up in Timberland PRO's 47592 Endurance 6 inch steel toe boots. Order your pair online from the Working Person's Store today. When Timberland says puncture resistant they really mean it. These 47592 boots are so wonderful. They felt great right out of the box. I love them. And my feet actually feel safe. After using wearing and swearing by Red Wing boots for the last 12 years, I gave these a try and will never go back. Best work boots I've ever placed on my feet. You can't go wrong with these boots! I work in Substations all day walking on gravel. Very comfortable. They are heavy but you'll never notice the extra weight. Ive had several different types of pro series boots and these are my favorite series so far! Ive had this pair for almost a year and they are still as comfortable as when I put them on the first day. These boots are comfortable straight out of the box. Durable, oil, coolant, water resistant and its had to do any damage to them. Dont think twice-- just go ahead and buy them!!! What a great pair of work boots. I love the pull tab, it helps me so much when I am putting them on. I am a bigger guy and it's hard for me to bend over to put my boots on. With these Timberland boots they go on easy and protect my feet throughout my entire work day. 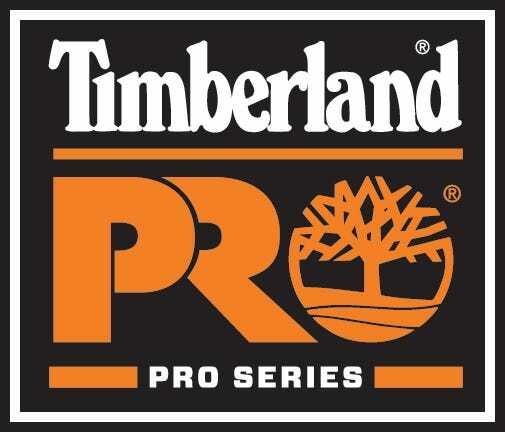 I am a pipefitter by trade, these boots are the most comfortable boots I have ever had and i have purchased just about all of the top name work boots in my 25 years in the trade,nothing compares to the comfort and durability of these Timberland Pros, I will never try anything different. When you find something good you stick with it. Timberland please do not stop making these boots they make everyday work a pleasure. Timberland PRO Boots: Men's Endurance PR Black 47592 EH Steel Toe Work Boots is being added to your cart.